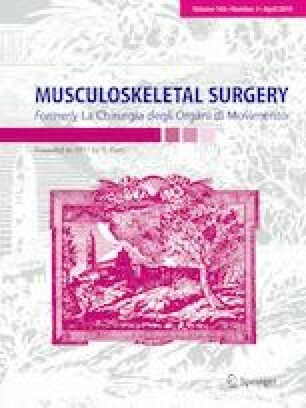 Arthroscopic repair currently represents the gold standard surgical treatment for rotator cuff tears, despite several aspects that are still matter of discussion between surgeons, and it is not clear yet what technique is better with respect to the others. Several evidences, however, support the assumption that the suture configuration is most important than the number of suture anchors used. In this work, we describe a new suture technique for arthroscopic supraspinatus tendon repair using a single double-loaded common suture anchor, and based on a continue and multi-passage suture configuration, with final gross resemblance to the nordic kringle pastries or to the kringle protein domain. Between June 2015 and July 2016, 44 patients (44 shoulders) were treated for supraspinatus tendon tear by means of the kringle suture. Of these, 36 patients have been evaluated from the clinical and radiographic site in the setting of this study, with a follow-up time ranging from 18 to 30 months. During the follow-up period, no major complications were recorded. Two patients reported a transient postoperative stiffness, which completely resolved upon 6 months from surgery. All of the patients referred complete subjective satisfaction and return to their daylife activities without pain. No sign of radiographic subsidence of the suture anchors was found at the radiographic analysis. The kringle suture technique is cost saving, easy to perform, versatile and provides excellent initial fixation strength as required for tendon to bone healing of the reinserted cuff.